In light of the GDPR coming into force in Europe on 25 May, 2018, ‘context’ is swiftly becoming the mot du jour, as many advertisers and publishers look for new ways to effectively reach their target audiences. 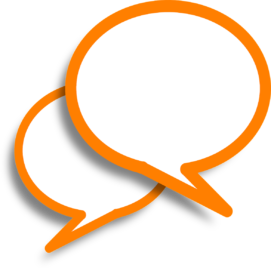 ExchangeWire speaks with Benoit Sanchez, team leader, data division, Smart; Charlotte Fouquet, COO, Zebestof; and Céline Craipeau, product and solutions specialist, Tradelab, about the power of contextual targeting, and the increasing popularity of semantics. 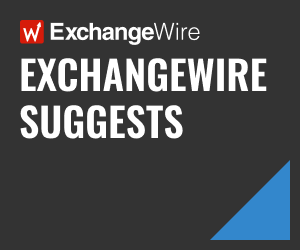 ExchangeWire: What value does contextual targeting bring over behavioural targeting? Benoit Sanchez, Smart: Now that the GDPR is in force, the practice of behavioural targeting is more limited than before, because it requires explicit user consent. Behavioural targeting is considered to be invasive by nature, as it collects information based on the user’s web browsing behaviour (past searches made, pages that have been visited, etc.). On the other hand, contextual targeting is basically ad placement done smartly, as the user is shown ad content that is similar to what’s on the page that they are currently browsing, thereby connecting the right message to the right person at the right time. One key value of contextual targeting is that it reduces the possibility of ads being displayed on too many unrelated sites, which improves the publisher’s inventory quality, at least from the advertiser’s point of view. Céline Craipeau, Tradelab: Contextual targeting may be a great opportunity to catch the user’s attention on the spot, with the brand’s message being seen as an additional source of information. For example, if I’m reading about healthy and low-carb diets, I’ll pay more attention to an ad from Charitea (an organic and detoxifying iced tea) instead of clicking on an ad for a housing agency. This is particularly true when we address lifestyle-related subjects. Charlotte Fouquet, Zebestof: Behavioural targeting places a great deal of emphasis on the quantity of cookies, demographics, and others factors. Whereas contextual targeting identifies relevant placements, boosts campaign performance, and helps us to better achieve our goals. It is highly advantageous, as we can derive valuable information about the user, without having to go through their browsing history. It gives us more accurate placements to display our ads. In work we did with Smart during the World Cup season, strategically placed ads through contextual targeting drove improved performance across CTR and ‘click to visit’. Céline Craipeau, Tradelab: However, it’s important to note that contextual targeting does have its limitations. Targeting contextually does limit the volume of inventory available, which is relevant to the content, rather than the behavioural profile. It means increased pressure on advertisers to boost memorisation, as the level of repetition is reduced. Why is there a growing trend in marketers targeting audiences contextually, and why particularly in semantics? Benoit Sanchez, Smart: Some marketers see much higher click or conversion rates through thoughtful contextual targeting. Semantic contextual targeting can be considered as a mix between traditional branding and retargeting. While retargeting aims at click/lead performance of online shoppers and their e-shopping history, semantic targeting is more general. It is a technique used in the selection and classification of a targeted audience, based on the meaning and inferred semantic relationships in the content generated by consumers and publishers. The process itself can be manually heavy, which is why semantics helps in automating this task, as it enables the scaling of advertisements by automated systems. Céline Craipeau, Tradelab: In the era of PII regulation, gathering data on a user’s behaviour and profile is getting more complicated. To build the most relevant targeting strategies, we know that a cookie-based approach must be enriched by a contextual strategy, which won’t rely on personal identifiers. This is where semantics come into play. It will allow us to reach the privacy-conscious internet users, who refuse to give their consent for profiling, and to address the challenge of long purchase cycles. As the path to purchase can sometimes take months on certain products, such as cars, it seems unrealistic to follow them throughout their decision process, as cookies rarely remain accurate for more than a few weeks. Benoit Sanchez, Smart: Semantics also plays a key role in safeguarding brand safety. For instance, by identifying the sentiment expressed on a web page (targeted at people, places, or brands), advertisers can ensure campaigns appear away from potentially negative content, even if it is related to the brand, company, or product. Charlotte Fouquet, Zebestof: A couple of years ago, marketers started using contextual targeting for brand-safety reasons, rather than for targeting purposes. With advancements in algorithms and similar technology, there is almost a comeback of this type of targeting, which is an efficient strategy to target users with the right message at the right time. Has the onset of GDPR caused a greater focus on the power of context? How long will this last? Do you think this is the new way forward, putting an end to personalised targeting? Benoit Sanchez, Smart: Yes. GDPR probably encouraged semantic targeting, even though many marketers started relying on it, given the limitations of behavioural targeting. It’s definitely a trend that’s on the rise, but it is difficult to say how long it will last for. Charlotte Fouquet, Zebestof: GDPR is giving us more room to work with the right partners and have more accurate targeting. As cookie pools are being updated, and data management and third-party data technologies are continuously evolving, contextual targeting is bringing us on the right track to communicate with our prospects. How does context help to increase engagement with consumers? Benoit Sanchez, Smart: I would say context is an efficient way to deliver advertisements that are directly correlated with the content the consumer is enjoying. It is far more personalised and directly related to the content the consumer is engaging with. When messages are clear, relevant, and well-placed in the customer’s journey, they will be more inclined to engage with the ad message and the brand. Charlotte Fouquet, Zebestof: Having the right message in the perfect context creates the ideal conditions to engage with users. In our case, we use this kind of targeting to improve our transformations rate by giving the right amount of budget to these contextual deals – and once we spot the best placements within, we optimise towards that. Céline Craipeau, Tradelab: Besides stimulating the user’s attention towards one specific subject, the association of a brand with positive and relevant content may enhance its appreciation. We can thus move from a ‘brand safety’ approach, based on context exclusion, to a ‘brand affinity’ approach, based on context inclusion. This strategy will serve the objective of advertisers, who need to highlight their ethical values or build brand trust and confidence. Benoit Sanchez, Smart: A main takeaway for us has been that campaign results of contextual and curated media buys are very similar to campaigns where third-party data is overlaid. Whilst not applicable for all campaigns, the test has proven that a comparable result can be achieved by applying care and attention to other parts of the campaign set-up, shifting the focus away from the third-party segments, on which the industry has come to rely so heavily. As Programmatic Moves from Adolescence to Adulthood, What’s the Role of Private Marketplaces?